Whether your kids are experienced skiers or snowboarders or they are hitting the slopes for the first time this winter, everybody loves free, amiright? January is Learn to Ski & Snowboard Month, and while we&apos;ve already shared some of our favorite ski resorts in our 2016-17 Family Ski & Snowboard Guide for first-timers, powder hounds and spa-lovers (you&apos;ve checked it out the guide already, right? ), today we&apos;re sharing where you can let your kids ski free (or practically free)! 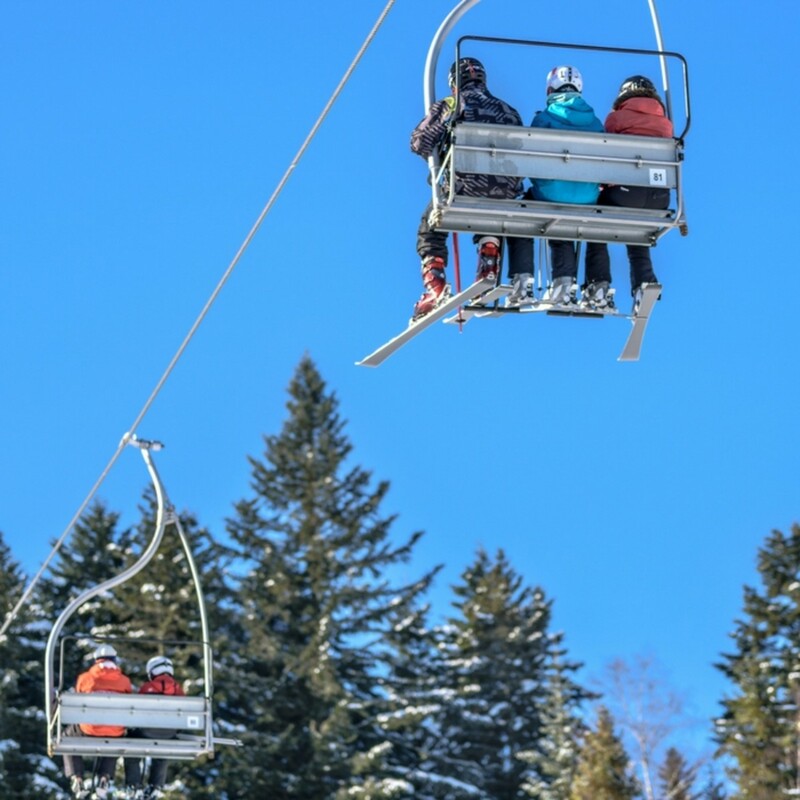 Read on for how to save some dough and get your kids on the snow in 10 states across the U.S.
Free Kid Skiing in Vermont: The Fifth Grade Passport in Vermont offers participating students up to 88 days of nearly free skiing and riding at Vermont’s alpine and Nordic resorts. Passport holders receive a booklet containing coupons for three free lift tickets at each alpine resort and 1-3 coupons for cross-country trail passes at each Nordic center. Note: Passport holders need to be accompanied by a ticket or pass-holding adult and each adult may bring up to two Passport holders. Some blackout dates apply. Free Kid Skiing In New York: For 3rd or 4th graders, the state of New York offers two ski free programs. The Kids Learn to Ski or Ride Passport is the perfect program for those who do not ski or are true beginners. With the passport, a child will receive a lift ticket, lesson and equipment rental free* at all participating ski areas. If your child already knows how to ski, choose the Kids Ski or Ride FreePassportinstead. With this program, a child receives up to 3 free* lift tickets at all participating ski areas when accompanied by a paying adult. There are over 20 ski areas throughout New York State participating. Do note: There is a one-time $26 processing fee for either passport and reservations at ski areas may be required. Free Kid Skiing in New Hampshire: The SnowSport Passport provides 4th and 5th graders with one free lift ticket plus an additional offer ranging from free rentals to discounts on adult lift tickets to BOGO deals at over two dozen New Hampshire downhill and cross-country ski areas. Apply for the passport online or by mail. A $30 fee is required. Free Kid Skiing in Pennsylvania: Students in 4th or 5th grade can apply for the SnowPass in Pennsylvania and ski or ride free at most ski resorts when accompanied by a paying adult this winter. And you don&apos;t even have to be a resident to apply! Visit SkiPa.com for more details and for great coupons for adults as well. Free Kid Skiing in Maine: Kids in Maine can apply for the WinterKids Passport that helps 5th, 6th and 7th graders get outside and get active more often in the winter, with free and discounted tickets, lessons, and rentals at 50 areas all over Maine. Younger kids in preschool through 4th grade can apply for the WinterKids FunPass instead that lets kids try cross-country skiing and snowshoeing on groomed trails throughout the state for free. Free Kid Skiing inMichigan: In Michigan, the “Cold is Cool” Ski & Ride Passport provides 4th and 5th graders with three free lift tickets or trail passes at 30 participating ski areas, plus additional discounts on the slopes and in Michigan ski shops. There is a $20 fee for printing and shipping. Kids must ski with a paying adult and some blackout dates apply. Free Kid Skiing inColorado: Colorado offers three different options for 5th and 6th graders in the state. Fifth graders who are brand new to the snow can choose the Colorado Ski Country USA’s First Class Program that offers 5th graders who have never skied nor snowboarded the chance to receive one full-day beginner, level one group lesson, and an equipment rental package for absolutely free. Fifth graders who already know the slope ropes can sign up for the Passport Program that provides three free days of skiing or snowboarding at each of the 21 member resorts. Up to 63 days of free skiing! Sixth graders can pay just $125 (until Tuesday, January 31st, 2017!) 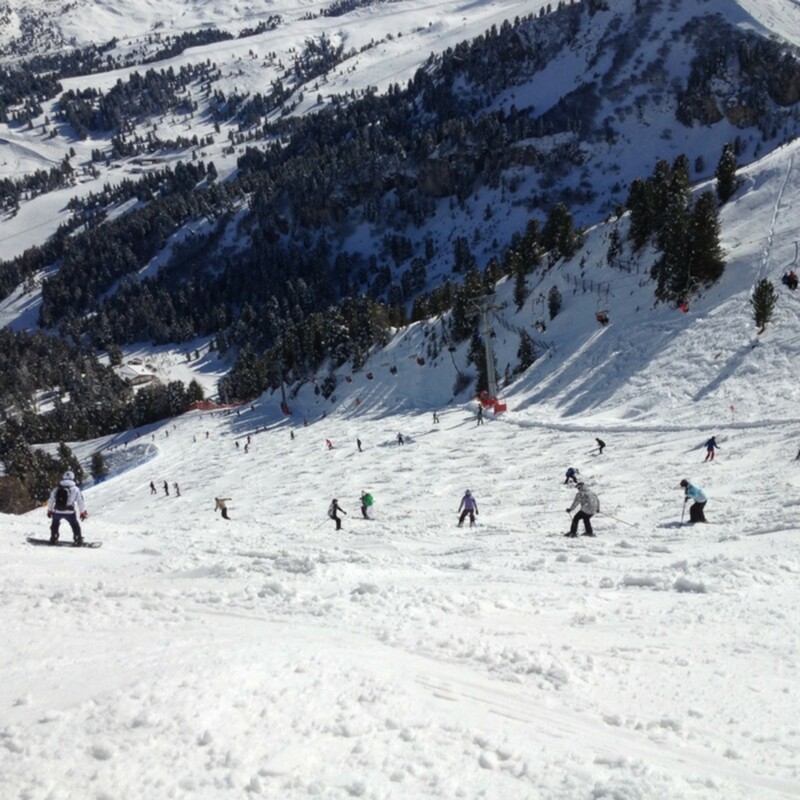 and receive four days of skiing or snowboarding at each of the 21 member resorts. Free Kid Skiing inUtah: Ski Utah Passport gives middle schoolers a chance to ski or board for just $35. The fifth grade passport lets students ski or ride 3 times at each of Utah&apos;s 14 resorts while the sixth grade passport gives kids one free time at each of the resorts. Passports also include a variety of additional deals and discounts from resorts and partners, from discounted buddy passes and gear rentals to summer activities at select Utah resorts. Free Kid Skiing in Idaho and Washington: Kids living in or visiting the Northwestern Rockies can take advantage of the 5th Grade Ski & Ride Passport allowing 5th graders to ski or snowboard for free at each Ski NW Rockies&apos; participating resorts including Lookout Pass, Mt. Spokane, Silver Mountain, and 49 Degrees North. If you&apos;ll only be in Idaho, the state also offers a Ski-Free Passport program for 5th and 6th graders providing 2-3 free days at each of 18 different resorts for a $15 fee. 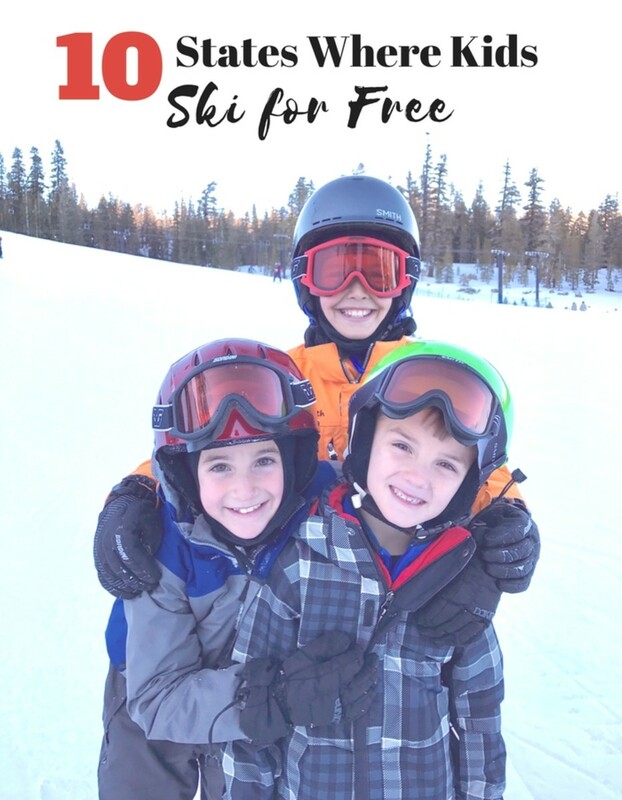 Free Kid Skiing in California: While there isn&apos;t a statewide program in California, June Mountain in the Eastern Sierras lets Kids Ski Freeif they are 12 and under, every day. Head to June Mountain ticket office to pick up the free lift ticket. Want more of our ski and snowboard faves? Check out the entire Family Ski & Snowboard Guide for gear picks, packing tips, and insider info from experienced ski moms.